I thought I could make an article about free software I use a lot. I often need a tool that does one thing in particular and I spend a lot of time finding the right tools that work well, so I compiled this list of lesser known software that anyone can use for free. Also this way when I forgot the names I'll have this list to remember them. First part is about workflow visual / imaging related tools, the second part is more about development tools. Some tools might be well known, other aren’t. If you have suggestions about really nice free tools you use, leave it in the comments sections! Gifcam is an easy to use super lightweight gif capture software. 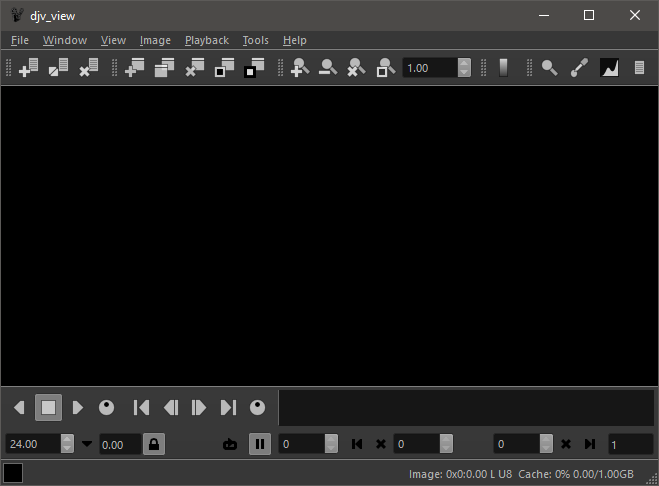 You just make a selection of what you want to capture using the software window, you then select what frame rate and the way the color is preserved and press Rec. You can edit the gif with rudimentary options but you can always open the gif in another software if further edit is required. Windows only. I use this software all the time to take screenshots. You can capture a selected region of your screen, save it, send it, really fast. 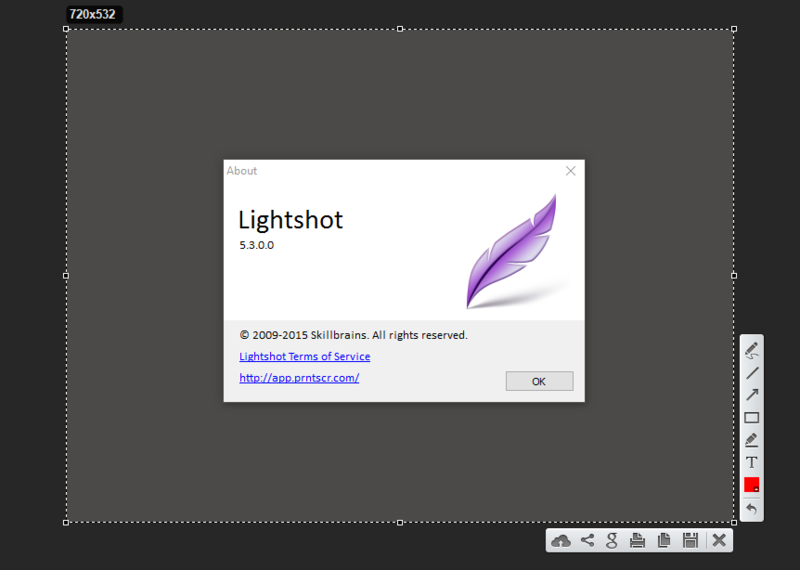 With a bunch of option and a nice looking interface, Lightshot is really easy to use. Windows and Mac. 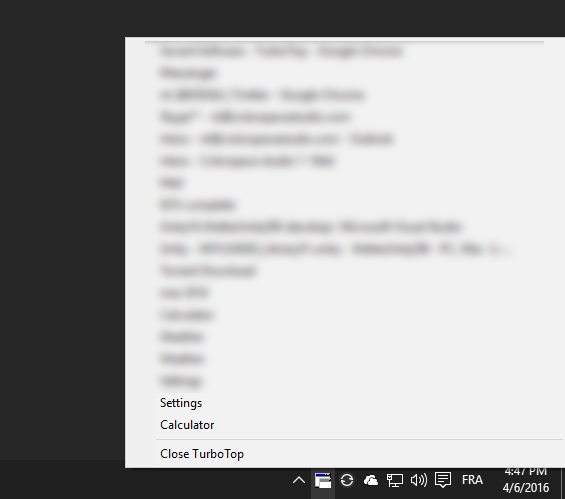 TurboTop – Always on top any window. This tool is really handy when you want to have a software with no “Always on top” function on top of other windows, like when you work with references while using a painting software, for example. Even when the software you use has a “always on top” function, using TurboTop is easier. You just select the window you want on top from the window system tray and that’s it. Really simple. Windows only. This one still looks like its straight from the 90s but it works perfectly. 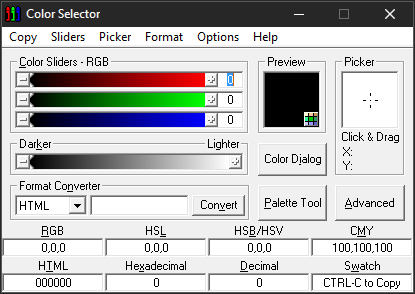 To quickly pick a color and use the RGB or Hex value in any software this one does the job very well. Windows only. This is a viewer for images/frames sequence. Its super powerful and fast with a tone of options. I used this for many years when I was working in 3D animation and still use it to playback frame by frame animations sometimes. There is just nothing better than this that you can pick up for free, and even paid software sometime don’t even match it. Windows, Mac, Linux. Pretty self-explanatory, it a very simple software to browse your SQL Database. I guess this one is known but for those who don’t know it, or are just starting using SQLite in their project, DB Browser is a life saver. Windows, Mac, Linux. Again, self-explanatory, Meld is just the best diff/merge tool I ever used. It looks nice, it works well, you can even compare folders with it or three-way comparison. Can’t ask for more. Windows, Mac, Linux. My software of choice to make installers before was Nullsoft NSIS, but once I started using InnoSetup I never looked back. It’s easy to use and there is a big community online to help you with specific things you might want to do with your installer. If you want a nice professional looking installer for your game, use this. Hey, thanks A LOT for the list of apps. Been a long time since I updated my tools and these are some great suggestions.